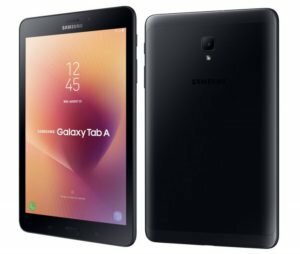 Samsung has officially announced the Galaxy Tab A 8.0 (2017) in Vietnam. It has a 8-inch WXGA, is powered by a Quad-Core Snapdragon 425 processor, runs on Android 7.1 (Nougat) and also comes in both WiFi (SM-T380) and 4G variants (SM-T385). It has an 8-megapixel rear camera with LED flash, f/1.9 aperture and a 5-megapixel camera on the front. It has Samsung’s signature home button and menu buttons below the display and has a metal body. The Samsung Galaxy Tab A 8.0 (2017) comes in Black and Gold colors, is priced at 6490000 Vietnamese Dong translating to about $285 for the 4G version. The devices already on sale in the country, with international availability to follow shortly.